The Excel Power View is a tool for Business Intelligence analyses and reports. It resembles the pivot table and chart, but it is even more powerful. In this exercise in the Excel 2016 from Scratch series, Peter Kalmstrom shows how reach and use Power View. Enable the Data Analysis add-ins that are necessary to use the Power View. In the demo below Peter explains how to filter, analyze and visualize sales data in different views. He also shows how to create charts. 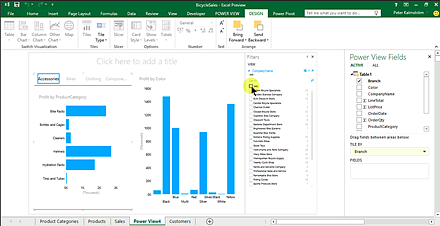 Peter uses Excel 2016 for his demo, but Excel 2013 also has the Power View.